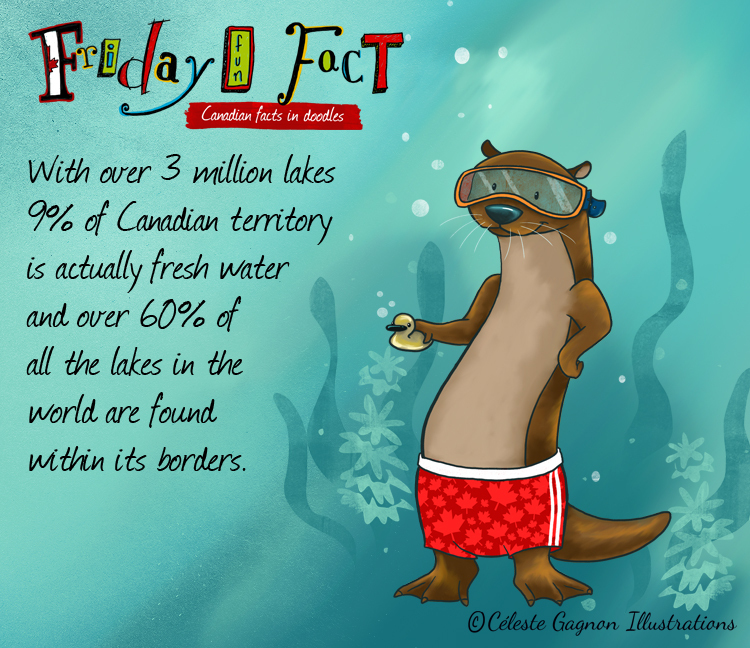 Amazing how much fresh water is in Canada, and we are surrounded on 3 sides by salt water… a great responsibility comes with living in such a wonderful country with so many natural resources. We need to protect it, for the sake of the whole planet. Happy world water day! Visit previous Friday Fun Facts!